The following steps walk you through setting up an integration with Millennium. You will need an administrator level access to use these features. After enabling integration, anything that you sync from Millennium will overwrite the corresponding data held within MyEDiary. This includes Class Lists, Teachers, Students, Class Memberships and Class Occurrences. After integration has been enabled you will only be able to manage this data within Millennium. Any data that exists within MyEDiary that does not exist in Millennium will be deleted from MyEDiary. This step is currently performed by MyEDiary Support. Please email support@myediary.com.au in order to obtain your Millennium Integration Settings. Upon receipt of the settings, please continue to Step 2. Click on Setting > EDiary Sync. Choose what data you'd like to publish to MyEDiary every time you choose to 'Sync' from within Millennium. Tip: Teachers will not be joined to their classes if they are inactive or do not have a Staff ID entered. Note: MyEDiary only accepts certain 'publishes'. See here for an up-to-date list on what we can accept. Ensure you tick the checkbox "Automatic Nightly Sync", as this will ensure that your data is sync every night without you having to do anything. 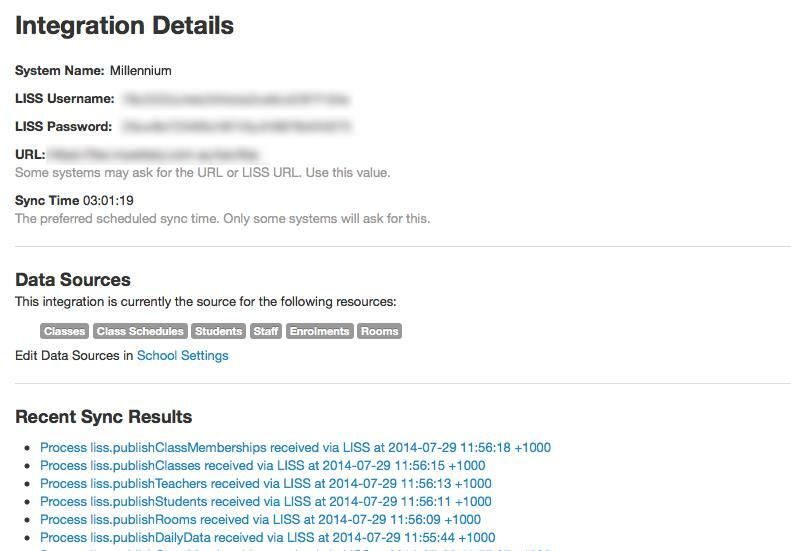 Click the "Sync eDiary Now" button to send the data through immediately. 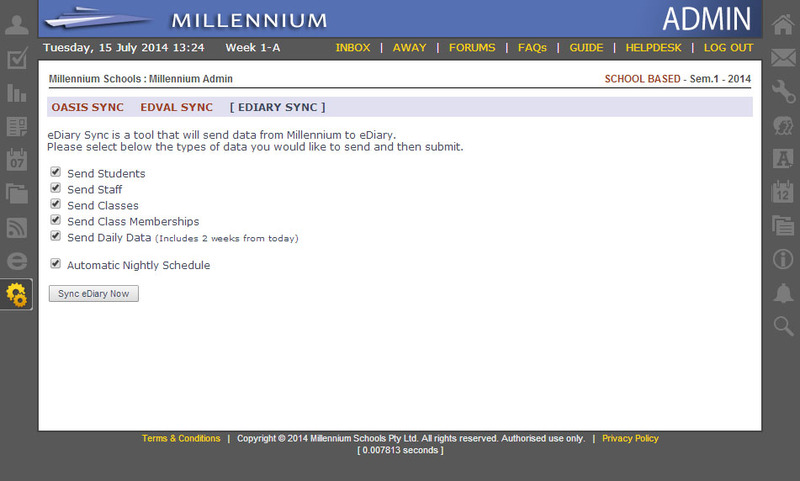 Verify that MyEDiary has received the sync request by going to the Integration Details page for the Millennium integration that has been setup within MyEDiary. In the MyEDiary control panel, go to: Settings > Integrations and click on the Millennium integration. Keep refreshing that page to see the latest results.